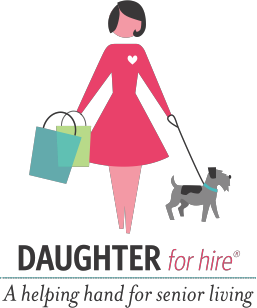 Daughter for Hire is always looking for the right person to work with our senior clients. We provide companion care services which are non-medical, non-personal in nature, to assist our seniors to maintain their independence. A few of the more popular services that we provide include companionship, light housekeeping, grocery shopping, meal preparation, assistance with medical appointments and laundry. If you feel as though you are the kind of patient, caring and compassionate type person that we are looking for, please click on the Employment Application button on this page to submit an application. All caregivers are required to have reliable transportation, past employment references, and pass a nationwide background check.